I’ve entered another competition at Newschoolers. 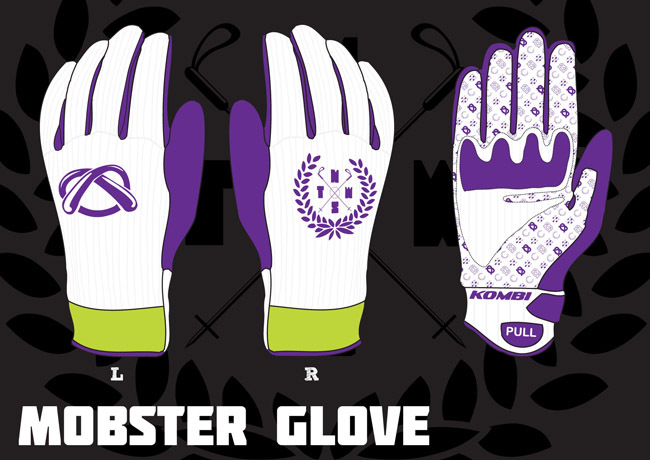 It’s being run by Kombi gloves, and they’re looking for a pro model design for their sponsored skier, Tom Wallisch. I’ve linked to the entries through their respective images, but you need to sign up to vote so it’s probably not worth the hassle. 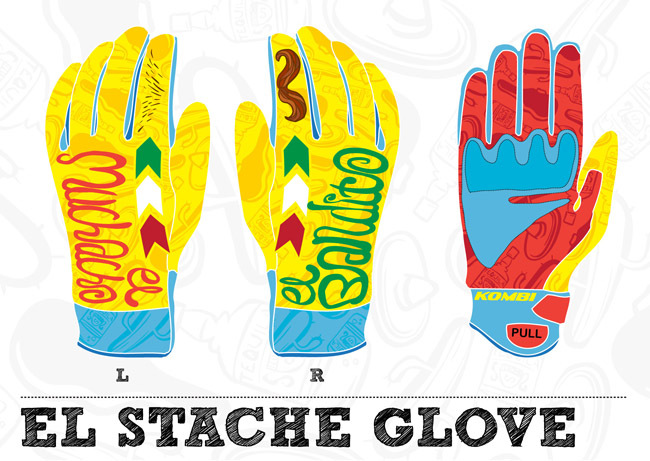 Note: muchacho = little boy, bandito = bandit. I thought this might appeal for the novelty value alone. Mobster pin stripes on white leather, embroidered crest and vinyl pattern detailing on the palm.